Dubai foodies! 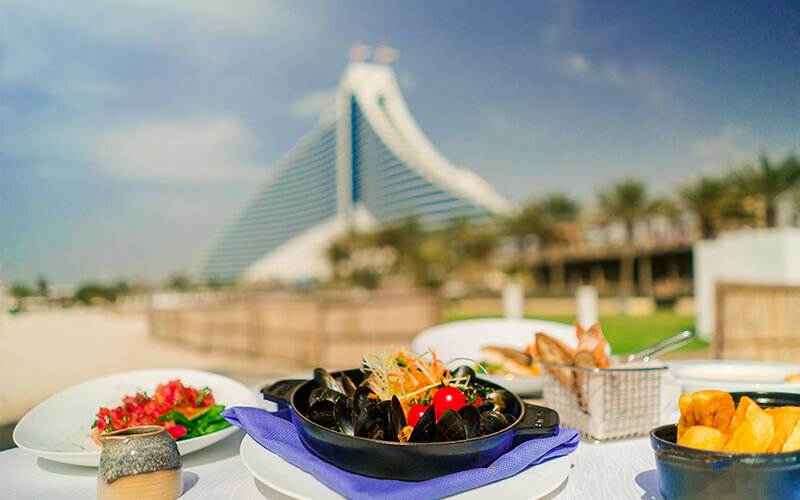 If you’re a fan of dining out, you can now feast your way through 26 of the city’s most iconic restaurants, thanks to the return of Jumeirah Restaurant Week – which is running once again between now and Saturday 20 April. With four categories to choose from, foodies can enjoy casual dining or buffet options from the likes of Nomad or Mundo from AED 100 per person, or go for more premium all-day dining and mid-range international options at Kitchen Connection, Al Hambra or Alta Badia from AED 150, or enjoy a signature experience at Rockfish, Summersalt or Zheng He’s from AED 250, with a set-menu finale at the ever-iconic Al Muntaha from AED 350 per person. Nomad | Jumeirah Creekside: The Puccini-designed restaurant will be serving everything from Tuscan Style Asian Seabass to Vanilla Panna Cotta. Noodle House | Madinat Jumeirah: This Asian eatery will be serving specialties like Gimbap Roll, Rice Teok-bokki with Fishballs and Gwangjang. Daefi Lounge | Jumeirah Emirates Towers: Experience the timeless essence of Bedouin hospitality, as you savour into an Arabian themed Afternoon Tea. D&A | Jumeirah Beach Hotel: Sample modern British favourites at this gastropub which boasts amazing views of Burj Al Arab. Kitchen Connection (buffet) | Jumeirah Beach Hotel: The best cuisines meet here from the kitchens of the world, complemented by personalised dishes from live cooking stations. Al Marsa Grill Nights | Jumeirah Beach Hotel: From BBQ Chicken Wings to Bourbon Glazed Brisket, the restaurant presents an international selection of award-worthy cuisine. Beachcombers (buffet) | Jumeirah Beach Hotel: This spacious hideaway, ideal for families, imaginatively presents Pan-Asian cuisine in its flavourful buffet and brunch-style selection of desserts. Ocean Blue | Jumeirah Beach Hotel: Dine beachside at this relaxing spot focusing on Italian classics from starters such as Bruschetta Al Pomodoro, to Gnocchi Sorrentina for mains. Al Hambra | Madinat Jumeirah: Savour traditional Spanish cuisine inspired by a Valencia tavern. Perry & Blackwelder’s | Madinat Jumeirah: Expect deep South BBQ specialties at this American-style smokehouse. Segreto | Madinat Jumeirah: Enjoy panoramic views of the iconic Madinat Jumeirah from the restaurant’s rooftop terrace as you sample Italian delicious cuisine. Alta Badia | Jumeirah Emirates Towers: This Italian restaurant sits on the 50th floor of an iconic hotel – it’s a must-try for any foodie. Mundo (buffet) | Jumeirah Emirates Towers: Embark on a global gourmet journey through the Mediterranean, Middle East, India and Asia. Bab Al Yam (buffet) | Burj Al Arab: Enjoy stunning views while you are treated to exquisite European cuisine influenced by Middle Eastern flavours. 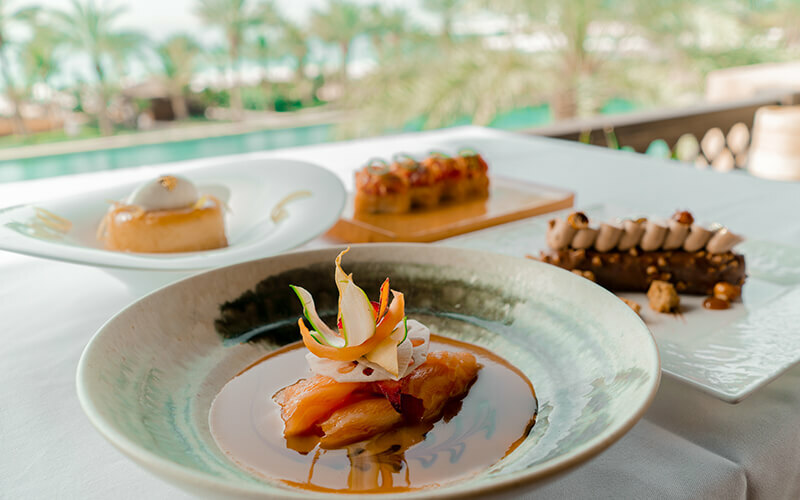 Umi Shio Summersalt | Madinat Jumeirah: A new Japanese fusion pop-up concept created at the hands of the Japanese/Argentinian Chef Cristian Goya. Rockfish | Madinat Jumeirah: A Mediterranean seafood spot that serves up freshly-caught specialties in a casual setting. 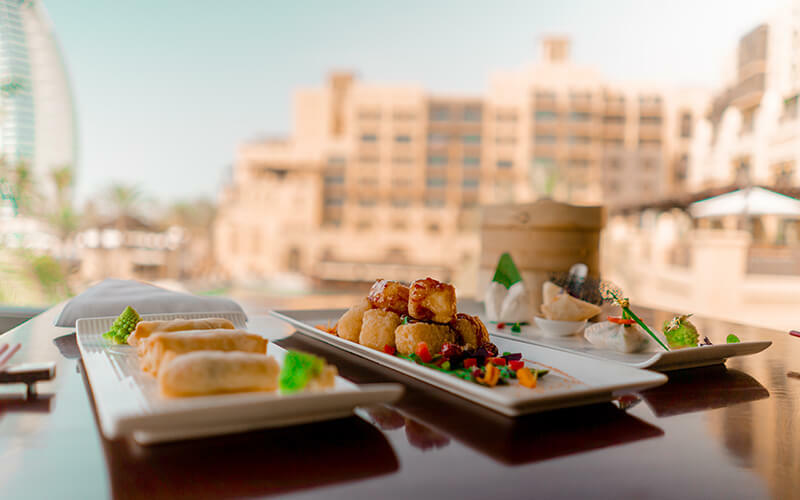 Khaymat Al Bahar | Madinat Jumeirah: Take an abra ride across Madinat Jumeirah before reaching this chic Lebanese foodie hotspot. Zheng He’s | Madinat Jumeirah: A Chinese restaurant that’s incredibly trendy, you can’t beat the elegant atmosphere and energetic vibes. The Hide | Madinat Jumeirah: Blending the flavours of New York, Chicago and LA, this American eatery is all about serving quality comfort food. The Rib Room | Jumeirah Emirates Towers: Enjoy the feast of a lifetime, as you cut into tender meats and vegetarian delights in a relaxed atmosphere at The Rib Room. Al Nafoorah | Jumeirah Emirates Towers: Experience the best of Lebanese fine dining at this multi award-winning restaurant. La Parrilla | Jumeirah Beach Hotel: Experience Latin American cuisine in this meat lover’s paradise. Lalezar | Jumeirah Zabeel Saray: This gorgeous restaurant is meant to impress – it offers authentic Turkish cuisine inspired by the majestic Ottoman era. Al Muntaha | Burj Al Arab: Get ready for an extravagant Modern French meal at this luxurious restaurant sitting on the Burj Al Arab’s 27th floor. Previous Post&LeftArrow; Previous Check out this amazing 2 for 1 deal at SIX buffet nights this April!